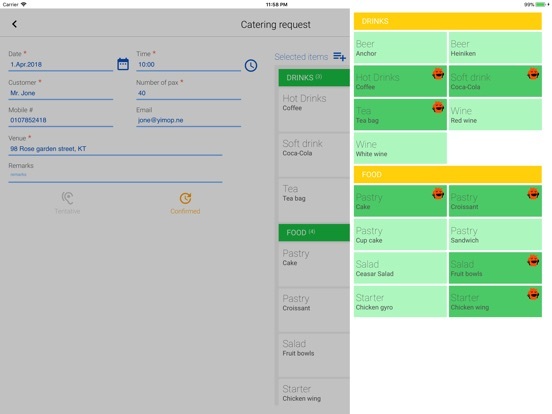 This app is designed for the event organizer in keeping track the catering request on iPad and it does not require Internet connection to work. So you can use it anywhere and any time without much restriction. It's very convenient. + Allows creating the standard items to be used by the event. 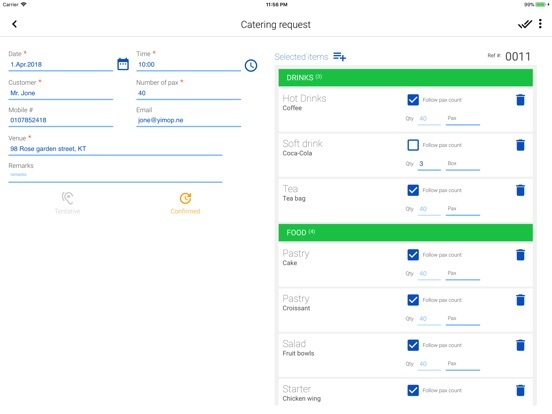 + You may email the catering details to your customer and chef by tapping on Email option in the catering entry screen. + Allows grouping the standard item to ease the searching. + Easier track the catering event’s date, time, venue and customer. + A summary view of catering events for the selected date. + Unlimited catering event records. + Allows setting up the unit of measure. 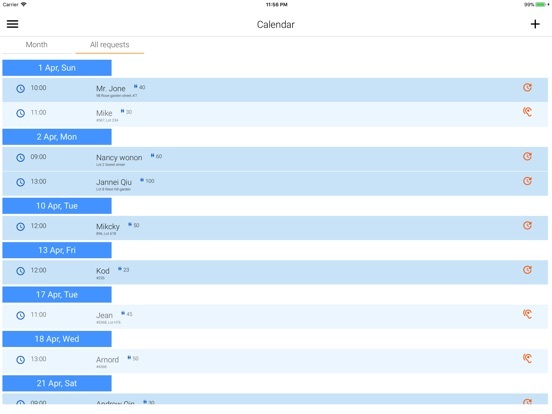 - This app is developed for single-user and single-device only. - The data will not sync with iCloud. - This app is not able to track any charges to the customer. + Resign all screens and improved the flow. + Improved the data entry. + Improved numeric data entry. 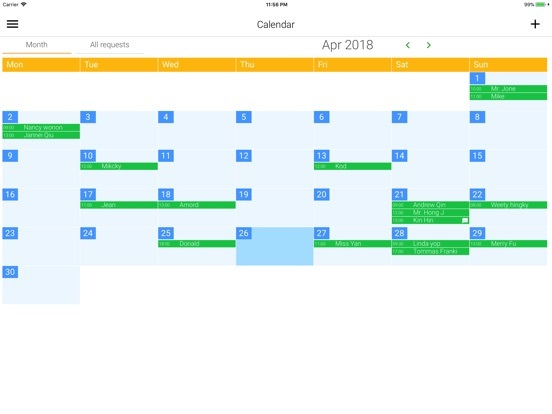 + Added calendar screen which is useful in handling multiple requests at a glance.